Was very rough scrub and didnt smell the greatest but helped my ance! I love how well this kept my skin soft year round especially during the winter time when you need to protect your skin. And it is affordable and does just as much protecting your skin when compared to other pricey items. I began using this face scrub in my twenties and I always seem to come back to it. I have adult acne and this doesn't irritate my skin like some other face cleansers I have tried and believe me I have tried everything from high-end to cheap. It doesn't do an extreme exfoliation, but more of a light exfoliation that does seem to help with my reoccurring clogged pores. It doesn't dry my skin out, which is a big plus because i'm already dealing with acne, I don't need dry skin to have to conquer. The smell is not overpowering but the grit does seem to get everywhere, but if it works, it's no big deal. I really loooove this face wash. I use this face wash every other day while I'm in the shower. I have used many different products for my acne but I believe they were all too harsh. This leaves my skin feeling smooth and refreshed. My ONLY complaint is that it is too harsh to use as an everyday scrub so I do have to find something to wash my face with on opposite days that is more mild and I have not found that yet. I do use this on my shoulders and back because I do have acne in those places as well and it works wonders! 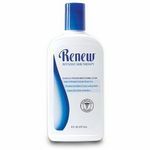 My acno has cleared up dramatically after starting to use this product. Make sure to use a face lotion and washing your face. I use an oil free face lotion. 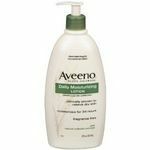 The original formula of this product was a favorite - my go to body lotion. The new formula is NOT moisturizing. It is much thinner, lighter, and not effective for the dry Colorado weather. Bummer! Now I have to find another body lotion. Extremely gentle, it won't dry skin out but still leaves it clean. Does fight acne but not as quickly as harsher scrubs. This scrub is amazing! It is all natural and contains apricot pit pieces as exfoliates. I do not have sensitive skin, so I typically scrub my face with this product for a minute then leave it on for one to two minutes. If you do have sensitive skin you may want to lightly scrub your face and leave it on for a smaller amount of time. The product is thick so it does take some effort to get off. I suggest washing your face in the shower so it is easier to wash off. This is the only face wash that I will ever use, I would choose not wash my face at all before I would choose to wash my face with something else! I love the amazingly clean and refreshed way that my skin feels each time I use it! The apricot scrub not only exfoliates my face, but also my hands and leaves them both feeling smoother every time! Effectiveness Very effective at shrinking pores and reducing blackheads, as well as keeping them from coming back. Gentle enough for sensitive skin, but strong enough to clean and exfoliate better than any other cleanser, leaving skin feeling completely refreshed! Ease of Application Quick and Easy to use, Couldn't be more simple! Convenience Very convenient! Just a few simple steps, and doesn't require the use of any other products like other cleansers out there. Side Effects This is the only face wash I have ever used that has not had any harsh side effects. Gentle enough for even the most sensitive skin. Immediacy I can feel it start to work immediately as the apricot scrub exfoliates and cleanses my face, and the difference afterwards is noticeable right away! Not only is my face much smoother after every use, but it looks much healthier too! This is a great product. I highly recomend it. 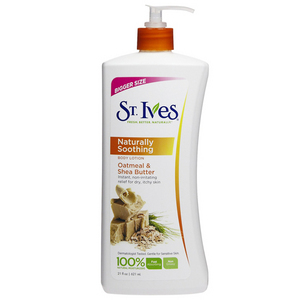 St. Ives Blemish Control is easy, effective, and efficient. It is inexpensive and just as good as higher-priced brands. My skin feels clean right away and it clears up more and more after each use. This is what I use to keep my progressive acne under control. This is an A+ product. I noticed right away that my skin was better and so did everyone else. Effectiveness It is very effective. The difference is obvious from the start, and it just keeps getting better after every use. I started receiving compliments on my skin after the very first use. Ease of Application Just squeeze some out and scrub it in, or use a brush for maximum efficiency. Simple as that. Convenience What is more convenient than a squeeze tube? It sits so that gravity helps rather than hinders, and your blemish control is always ready to go! Side Effects No negative side effects, at least for me. Immediacy I was complimented on how my skin looked better from the very first time I used it. I have tried many lotions in my life and this is by far the best I have been able to find. I was a gymnast for 13 years so my skin always got super dry from all the chalk and this is the only lotion I have been able to find that absorbs into my calluses and keeps my skin soft and flake free! I highly recommend this product to anyone looking for relief for dry skin and the oatmeal helps with the itching. Scent This lotion has a pleasant scent. Sometimes it can be a little strong, but nothing compared to a lot of other lotions I have tried. Absorption This is the only lotion I have tried that really feels like it absorbs correctly. Most other lotions leave my skin feeling greasy or even chapped, but this one absorbs nicely and leaves my skin feeling soft and moisturized. Effectiveness I have very dry skin and I use this every night. The difference is amazing and can even help with my psoriasis breakouts! I can't sleep if I don't put this lotion on because it helps sooth the itching that comes from dry skin.